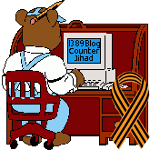 graphic arts — 1389 Blog - Counterjihad! Giant Manmade Optical Targets on the Earth’s Surface — Who Knew? Ezra Levant: How could a video of Toronto Mayor Rob Ford smoking crack have been faked?